Ellis Anderson resides in Bay St. Louis, Mississippi, where she works as a freelance writer and photographer. Her current focus is community recovery and her client list includes the city of Bay St. Louis, the Hancock Chamber of Commerce and Mississippi Department of Archives and History. Her photography provides many regional and national organizations with images of coast progress. Anderson also combines regional images into movie shorts, set to music. These presentations are used in seminars, websites and meetings to promote public awareness of the Mississippi Gulf Coast community. In July, 2008, her Tree Huggin' Pride campaign (sponsored by the Hancock County Chamber of Commerce)won the Best Tree Campaign Award from Mississippi Urban Forestry Council. 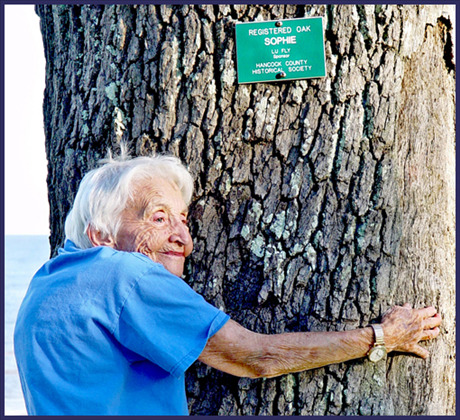 The on-going series of articles provides information of the various benefits trees provide a community and features images of public officials and local celebrities hugging trees.